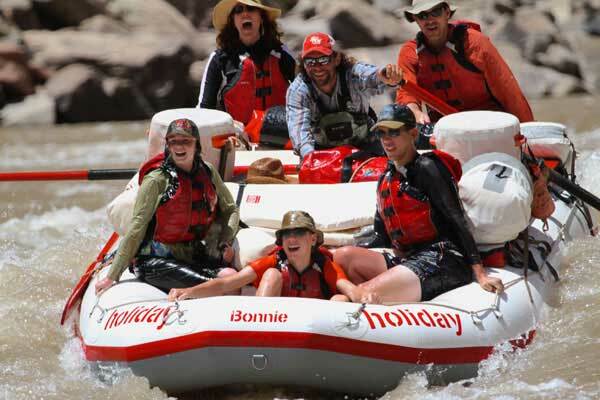 When you join Holiday River Expeditions for white water rafting in Utah, you’re joining over 50 years of experience in perfecting the best way to raft white water rivers or pedal mountain bikes. In our slogan “Go With the Flow” lies as a succinct way to express a larger truth; our guides are efficient, organized, and uniquely capable to handle whatever happens on each adventure so the quality of your comfort and care is always consistent. 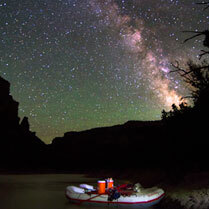 This ethos has allowed Holiday River Expeditions to take guests places they never thought possible. Holiday River Expeditions has methodically grown its Utah river rafting trips operation with quality staff and gear to all of the best escapes across the Colorado Plateau and beyond; from the unbridled Yampa River, to the reliable Green River; from thunderous white water chasms along Colorado River tours to breathtaking scenery on the San Juan River. Likewise our bike operation followed suit and now tracks across the best routes in the greater Moab mountain biking landscape shifting from lower to higher intensity rides. 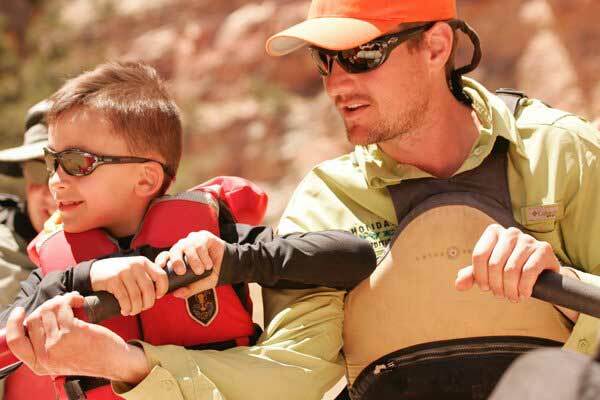 Our diverse trip options mean we acutely know how to set you and your friends & family up for an unforgettable Utah white water rafting trips or Moab mountain biking experiences. Since 1966, co-founder Sue Holladay has brought years of cooking experience to our white water rafting and mountain biking trip menus that accommodate everyone’s tastes and dietary needs. All the planning, packing, shopping and preparation for our white water rafting trips and mountain bike tours is done for you. 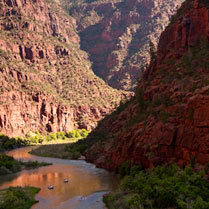 Our Colorado river expeditions guides craft river recipes into “to die for” meals. 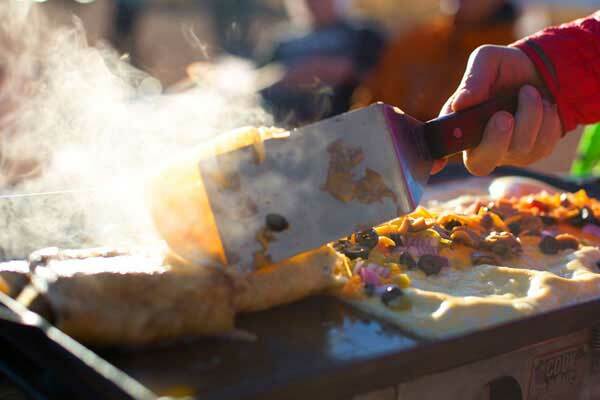 Dutch-oven lasagna, salads, fresh salmon or steak, and of course brownies… At the end of your Colorado river trip or a day of biking the moab trails, you will be hungry! Oh yeah, and we do the dishes. Every guest who joins us for white water rafting trips say the same thing: it was the expert guides that made their vacation. Our team of white water rafting and mountain biking guides are eclectic, ambitious and incredibly competent. All have been trained the “Holiday Way”; from sailors knots to the expert finesse of an oar in white water; from interpretation to knowing the right way to cut an onion, you can be confident you are in great hands. More than these hard white water rafting and mountain biking skills, each guide offers a unique personality and perspective that has the capacity to unlock the secrets of these magical rivers and trails for you and your loved ones. 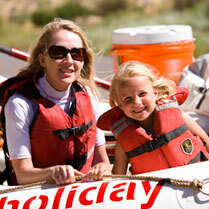 Of all the Moab rafting companies you will feel the difference with the Holiday Way. 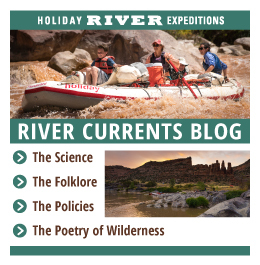 Finding the right blend of old wisdom and new innovation has led Holiday River Expeditions to be at the forefront of outfitting white water rafting utah trips and mountain biking gear. We have dialed in each piece of equipment with you in mind; from the fastidiously maintained vans that take you to the put-in; to our sleek white water oar rafts, rigged with your comfort in mind; to ideal camp feng-shui. Even when you don’t notice it, there is a purpose behind every toy we bring. 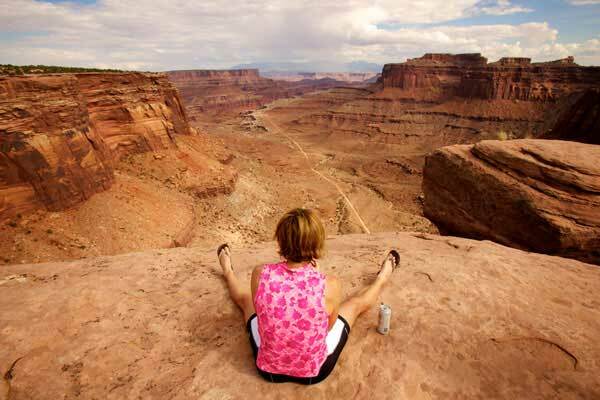 Join Holiday River Expeditions for white water rafting trips or a moab mountain biking trip and feel the difference! Pour over these curated shots of white water rafting Utah and mountain biking trips that show off some of the astounding places we get to play in! 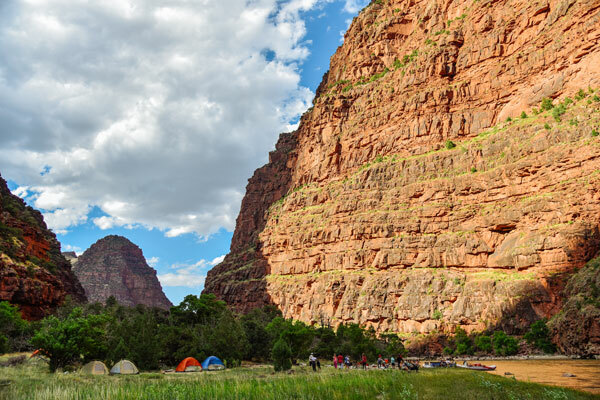 Whether it’s Colorado white water rafting trips or Moab mountain biking trip that gets you excited, these images will give you perspective on what our trips may entail. That said, there is truly no way to understand the sublime experience of a totally immersive river rafting or mountain bike trip through slideshows. As we say at Holiday, “you have to go to know“!